The great smartphone revolution which kick-started with the introduction of iPhone in 2007 wouldn't have happened without Corning's scratch-proof Gorilla glass technology. Most flagship smartphones today, be it Android or iOS based, has the latest Gorilla glass as one of its most important component. A Day Made of Glass was an incredibly popular video by Corning back in 2012 which looked into the future of display technology. 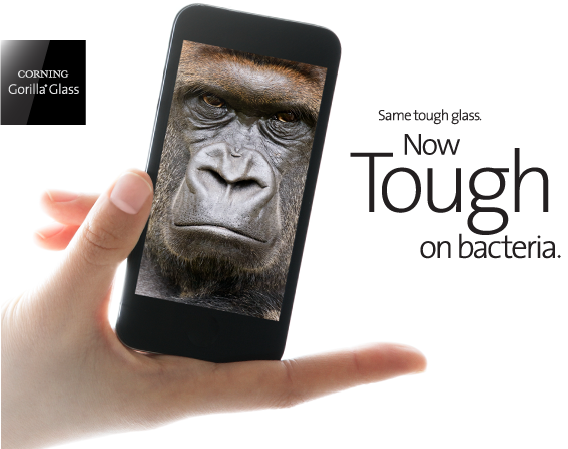 Antimicrobial Corning Gorilla Glass is formulated with antimicrobial properties to protect touch surfaces from odor and stain causing bacteria. According to the company, the technology is designed to work continuously and will last the lifetime of the device.